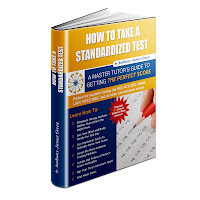 Raising your SAT or ACT math score can be a tough process; you need to improve your knowledge of algebra, arithmetic, and geometry, and you need to get used to the hundreds of different question formats that these exams use to test your knowledge. But with the right strategies, you can take serious shortcuts toward progress, improving your score by hundreds of points in an incredibly short period of time. Whenever you don't need to know a number, MAKE IT UP. Math is about numbers - if you can work with real numbers, you'll have a much easier time solving challenging problems. So if you have the option to "plug in" real numbers and do calculations with them, rather than with abstract concepts or variables, do it. Every time. "If you double the side length of a square, by what factor do you multiply its area?" When you look at any problem like this, you should ask yourself: do they say what the actual side length of the square is? Do they forbid me from coming up with my own? Pretend that the side length of the original square is 1! If the original square has a side length of 1, then the area is 1X1, or 1. The new square, then, will have a side length of 2, making its area 2X2, or 4. Thus, the answer is "4." But what if you chose a different number? Pretend that the original side length was 3. 3X3 equals 9, so the original area is 9. Now double that - the new square has a side length of 6, so the new area is 6X6, or 36. Guess what? 9X4 is 36! So even though the numbers you picked are different, the answer is exactly the same! Whenever you're solving an SAT or ACT math problem, ask yourself this: can I make up my own numbers for this problem? If Mary sells X shells a day, and if she sells them for Y dollars a piece, then how many dollars will she make after Z days? Make up X, Y, and Z, do the math, and then find the answer. Whatever the correct answer is will give you the same exact result when you plug in your versions of X, Y, and Z. Using this method takes practice. Visit Test Prep Authority for more free SAT and ACT math practice and tips!